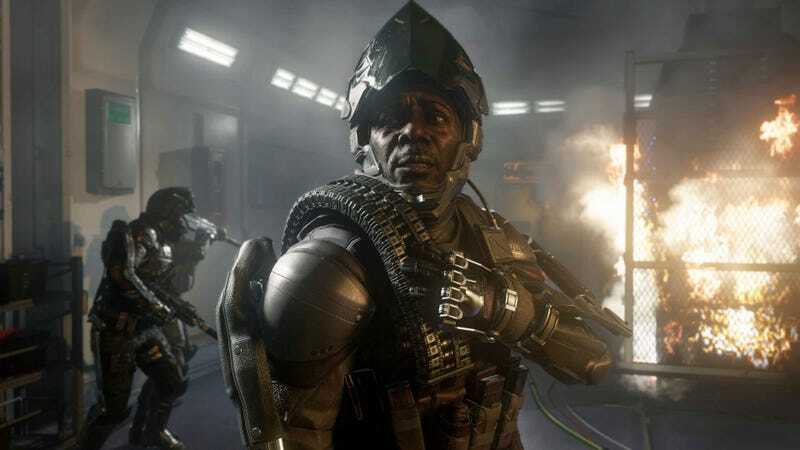 Call of Duty: Advanced Warfare's PC system requirements have now been revealed on the game's Steam page. Unsurprisingly, the game is a meaty one—requiring 55 GB of free hard drive space and 6GB of RAM for its minimum requirements. Read the full list of specs below. Also: keep in mind, these are the minimum requirements. I asked for the recommended requirements and will update this when I hear back. UPDATE (10/23/2014 12:34 pm): Activision sent us a note clarifying that the processor identified runs at 2.60 GHz, not 2.80 GHz as was previously stated in this article. The post has now been corrected. Apologies for the error.